Loyalty is a highly desirable trait, and when running a business, honesty on the company’s behalf translates to loyalty from the consumer end. When renovating, Windows Hawaii is the trustworthy and honest company you want working on your home. The company has been voted first place as Honolulu Star-Advertiser’s “Hawaii’s Best” People’s Choice Award the past five years in a row. With products like the Alii Extreme line of windows and doors by Anlin Window Systems it’s no wonder why Windows Hawaii has earned a reputable name for itself. Alii Extreme line is tailored specifically for Hawaii’s island living, rooted from 10 years of intricate research and development in understanding and conforming to the islands’ unique climate. Windows Hawaii’s superior products and superb customer service are more than just promises, they are facts. Many customers of the company find themselves returning time and time again, whether it is for their own home, or a friend or family member’s dwelling. General manager Mario Garcia mentioned that a lot of the firm’s business is from repeat customers because they find the quality to be so exceptional. Hawaii Kai couple, Richard and Nancy Elliston, recently had windows installed on their home by Windows Hawaii. The couple was very pleased with the performance of the products and the service of Garcia’s workers. “They got the windows in pretty quickly, they were fine workers,” mentioned Richard. Previously, the couple had jalousie windows and they would leak during rainy weather. 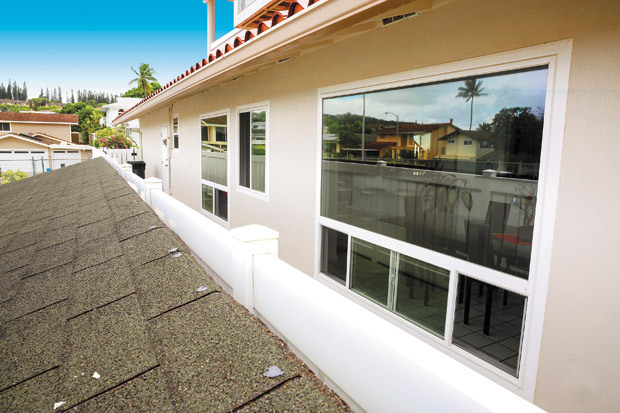 It’s clear to see why Windows Hawaii is the islands’ first choice for premium windows, doors, sidings and other products. These “extreme” products equate to its name as it provides ultimate sound and energy efficiency, as well as security. 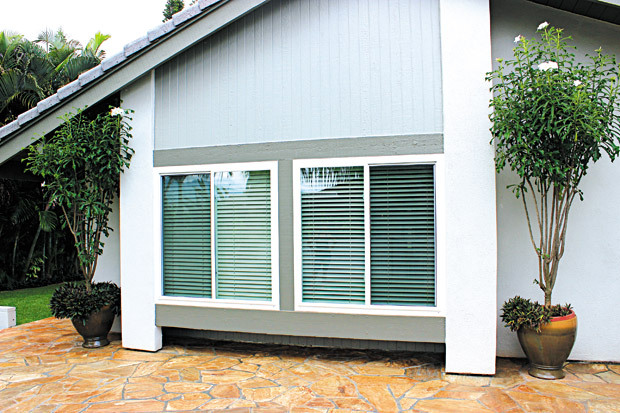 Its 1/8-3/16 glass combination provides extra protection during bad weather, while its triple-strength (3/16) glass functions as an efficient noise reducer both inside and out. The exclusive line’s INFINITe Plus high performance glazing system blocks 95 percent of harmful UV rays, resulting in a cooler home and reduced energy bills, as well as a triple-fin weather strip that blocks air flow and reduces thermal transfer. The product’s unique stainless steel window sash bolt brings it full circle to provide added security against potential intruders. There also is a lifetime installation and product warranty on the windows for as long as you own your home.